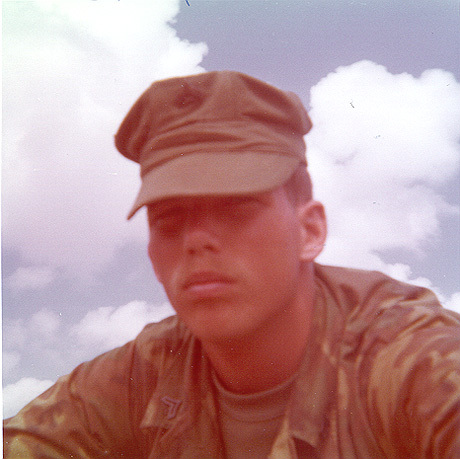 I took this photo of myself while standing guard duty atop Tower #3 at the 2nd CAG Headquarters compound in January, 1971. It’s poorly focused because I held my cheap little camera at arm’s length and pressed the button. I stood guard for two weeks at 2nd CAG before I was told to turn in my gear and get on a six-by headed for Da Nang to catch my Freedom Bird for home.